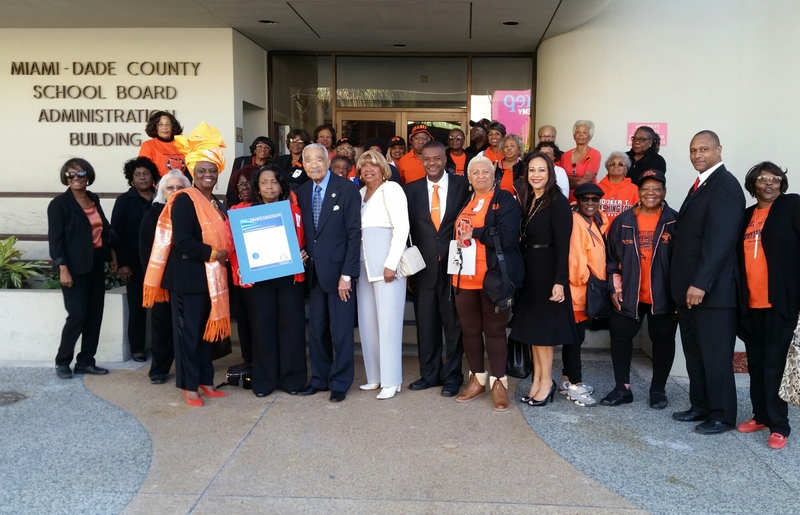 School Board Member Dr. Dorothy Bendross-Mindingall (D-2) was proud to honor Booker T. Washington Senior High School with a proclamation at the March 15th School Board Meeting. The school, opened in 1926 as the only school for African-American students, will celebrate its 90th Anniversary this week in Overtown. We salute Principal William Aristide, administration, teachers, staff, teachers, and BTW alumni for educating and supporting our students. Go Tornadoes! Posted on March 15, 2017 by District 2 MDCPSPosted in MDCPSTagged #District2WorkingForYou #EducationIsTheKey #EveryChildMatters #SeeYouOnTheJourney #MDCPS.